Colleen presents a solo performance and discussion of Strength & Sensitivity at the WFM conference hosted by the International Alliance for Women in Music and Feminist Theory & Music. Colleen performs a suite from Stravinsky’s “L’histoire du soldat” with members of the U-M CDE. Colleen joins Dana Johnson for a performance of “Komorebi” by Salina Fisher for Dana’s Master’s recital at the University of Michigan. Colleen performs her final degree recital at the University of Michigan. Featuring a wide variety of solo percussion music, plus duos with violinist Dana Johnson and pianist Melissa Coppola. Colleen joins the JSO as timpanist for The Music of Harry Potter at the historic Michigan Theater. Colleen produces a new version of her show, Strength & Sensitivity, as a keynote performance for the University of Michigan School of Music, Theatre, and Dance’s Sexual & Gender-Based Harassment Awareness & Prevention Symposium. The performance will feature two world premieres, from Hannah McPhillimy and Colleen, alongside reflections on sexual violence and its effects on young people. 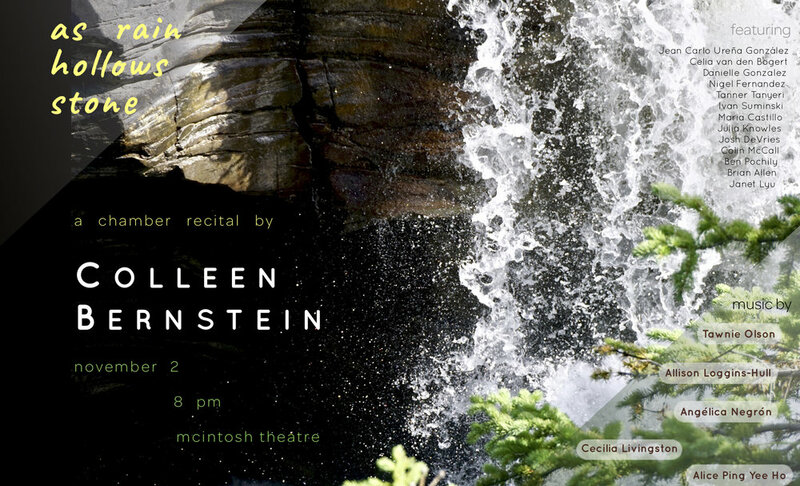 Colleen will also join Carla Dirlikov Canales, Founder/Director of The Canales Project, for a special collaborative performance of the Hear Her Song project. Colleen and bassist Noah Fishman join singer-songwriter Hannah McPhillimy to present a performance and workshop for detainees in Milan, Michigan. 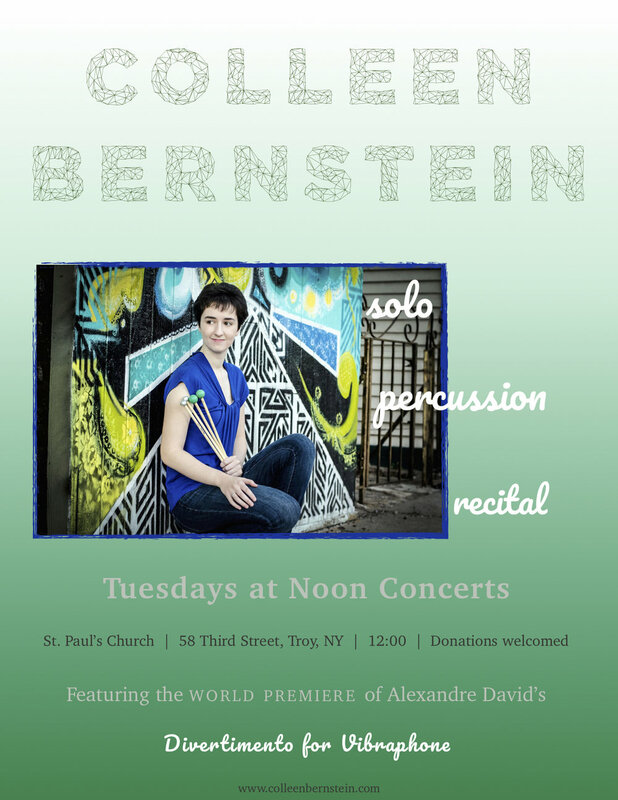 Colleen performs a program of contemporary solo percussion music for the Tuesdays at Noon concert series at St. Paul's Church in Troy, NY. Free admission, donations welcomed. Michigan USO performs Leonard Bernstein’s opera, Candide. The Contemporary Directions Ensemble performs at Strange Beautiful Music, a festival run by New Music Detroit. 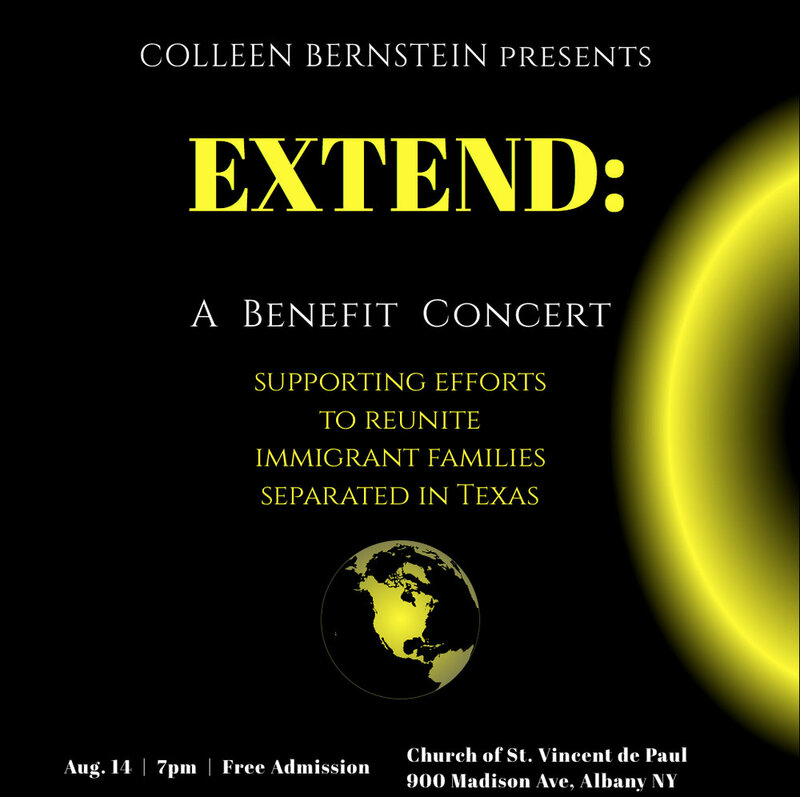 Colleen performs Angélica Negrón's Quimbombó, and the program also includes works by Julia Wolfe and Anna Thorvaldsdottir.